Have you been here with us for a while and still you’re not sure whether to upgrade to a Team Plan or not? Or maybe you’re a newbie trying to sort out Bannersnack’s best Plan? Find out all about our Team Plans here and evaluate if switching to Team would be an excellent opportunity for you and your company. 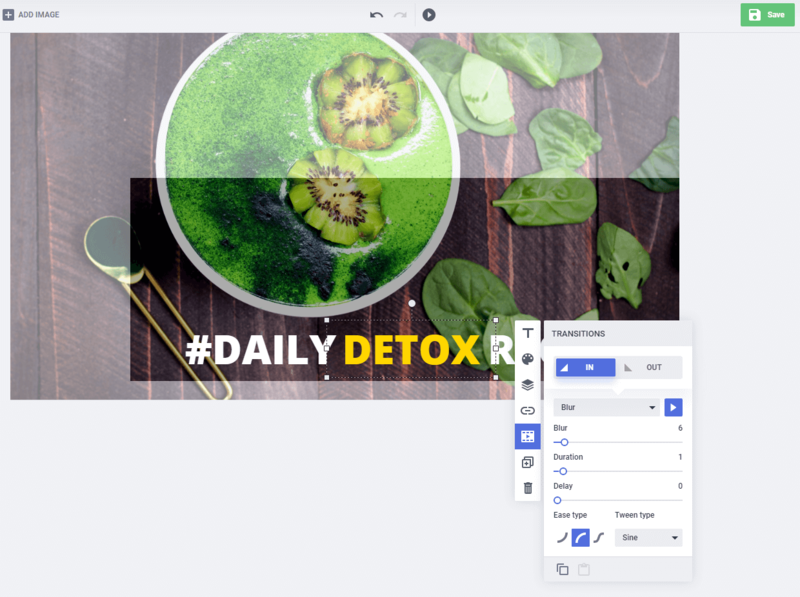 As you may already know, Bannersnack is the world’s first banner maker and today’s no.1 go-to tool for advertisements creation. The app is entirely web-based and can be easily used by anyone, without any prior design experience. Thanks to its drag-and-drop editor and Timeline multi-layer view, one can create complex layouts in a matter of minutes. 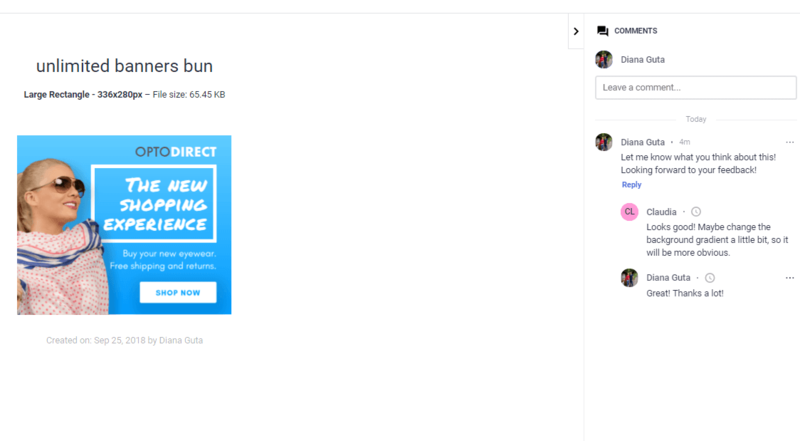 Bannersnack’s Team Plan offers an amazing set of exclusive features, allowing team members to collaborate on designs, communicate and improve delivery timings. While we do provide some incredible features for the other plans also, the Team Plan comes with unlimited access to our in-app content, dedicated support managers and some badass features that enable easy collaboration, organization, and communication within the projects. 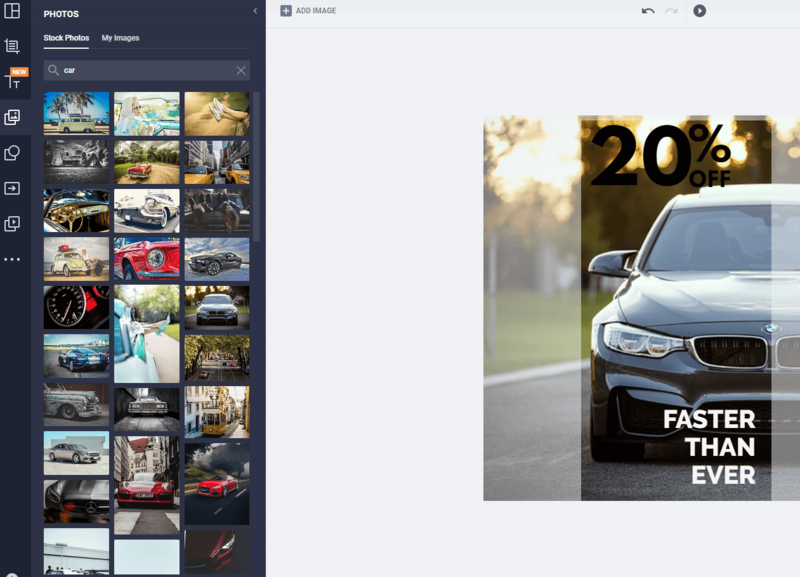 Whether you’re a small team of three, a design department within an advertising agency, or a large company with more than ten members, you can seamlessly create projects in Bannersnack. 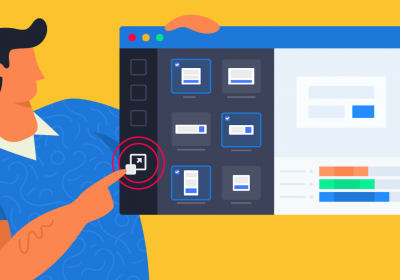 Easy collaborative design – All your team members will be able to contribute to designing the visuals, organize the workspaces, and upload assets. The possibility to choose status labels for your banners and notify team members through alerts will make progress clear and fluid. Improved efficiency – Thanks to the communication tools we provide, your team will be able to create better-looking marketing visuals faster than ever before. High-quality banners that proudly speak for your business – With a Team Plan you get unlimited access to all our exclusive features and stocks of professional photos, static and animated templates, buttons, clip-arts, and animation effects. Unlimited banner storage also comes with the package. Stay true to your brand – We know you need to keep all your marketing materials in-line with your branding guidelines. 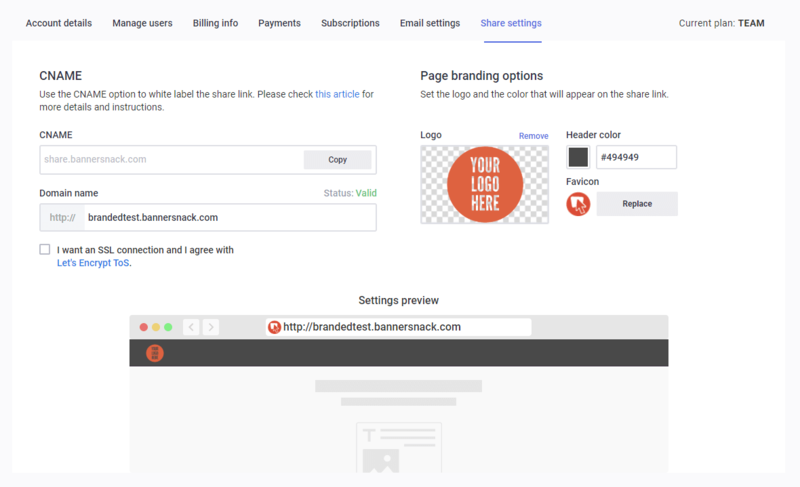 That’s why Bannersnack enables you to upload your own brand assets like fonts, images or color codes. Faster delivery timings – When you work together to create a banner you get the job done faster, which allows you to keep your clients happy and invoicing flowing. Also, you can produce higher volumes of banners! Thanks to our unparalleled Banner Generator tool you can create sets of banners (20+) in an instant! Dedicated support – All our Team Customers benefit from priority support, dedicated account managers and full access to a database of FAQs and information about the app and usage. From advertising agencies to media companies and small IT start-ups, we provide professional features for businesses coming from all industries under the Sun. Bannersnack offers multiple types of Team Plans, depending on the size and needs of each team. You can enroll for the Team Plan if you’re a small squad of three or a large company with more than 10-20 members in the design department. Every company has different demands. So, if you believe that you have a special kind of crew, just let us know and we’ll strive to make Bannersnack a tool that meets your needs. What you should know is that all our Team Plans get access to all our exclusive features, content and tools. 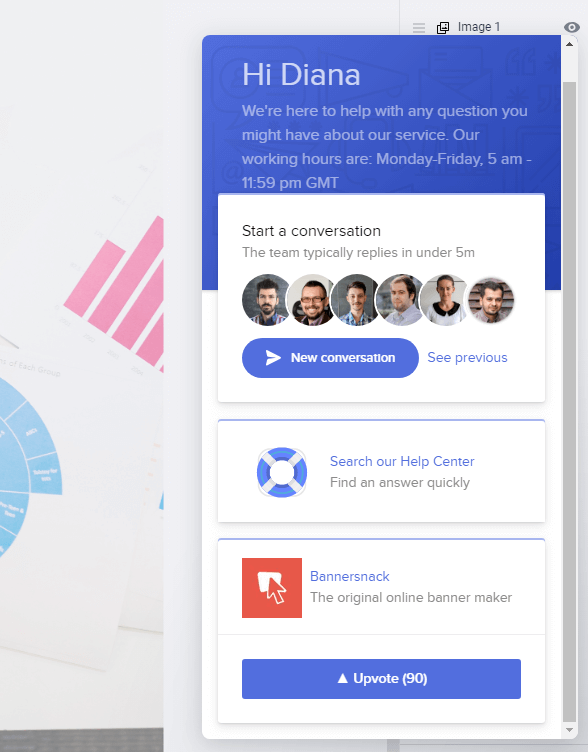 From collaborating on banner design to shared workspaces and the possibility to add feedback comments, all in one place, they’re all there for you to enjoy. #2. Workspaces – collaborate with your teammates in individual folders. And now, let’s get to know some of Bannersnack’s best Team features. You may have noticed I mentioned workspaces before. I’ll tell you all about it. In your day to day life, if you want to have a clear view of your work, you need to organize your projects individually. Take your computer, for example. In order to find whatever document you’re looking for, you need to organize your files in project folders. 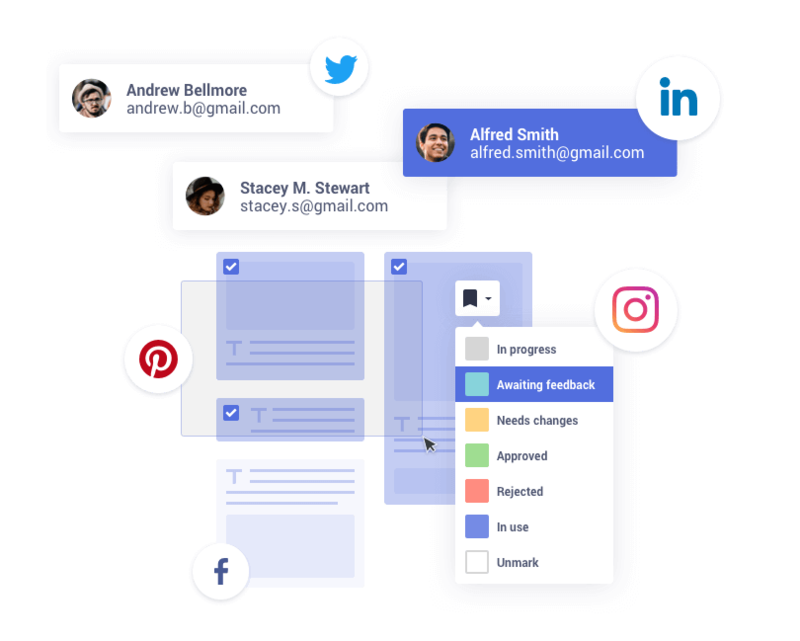 With workspaces, Bannersnack follows the same principle and takes organizing your stuff to the next level: you can share all your project workspaces with your teammates, add assets and work simultaneously at any time. Let me be more specific. Let’s say you’re working on 3 projects for 3 different clients. You can create an individual workspace for each project/client, personalize it with a name, logo, and color. Then, share it with your colleagues. Each time you create a banner in a workspace, your teammates will have access to your banner. They can change the design or comment to provide you with feedback. Any member of the team can upload assets like fonts, images, SVG files or color codes in the workspace’s Library. Collaborative design has never been easier…and more fun! #3. Banner Generator – create sets of banners in an instant. We don’t mean to brag, but you won’t find a design feature as helpful as Banner Generator anywhere else. This revolutionary tool responds to our customers’ necessity, which is to create banner campaigns fast. Anyone in the advertising industry knows you need a set of banner formats and sizes to launch an online campaign. Using our Banner Generator you can create sets of banners (starting from 20+) in all formats and sizes, in an instant. That’s better than magic! It’s top-notch technology! If you’re wondering about animated banners, yes, Banner Generator can help you create sets of animated banners also! When you switch to a Team Plan, you enjoy unlimited access to static and animated banner templates. 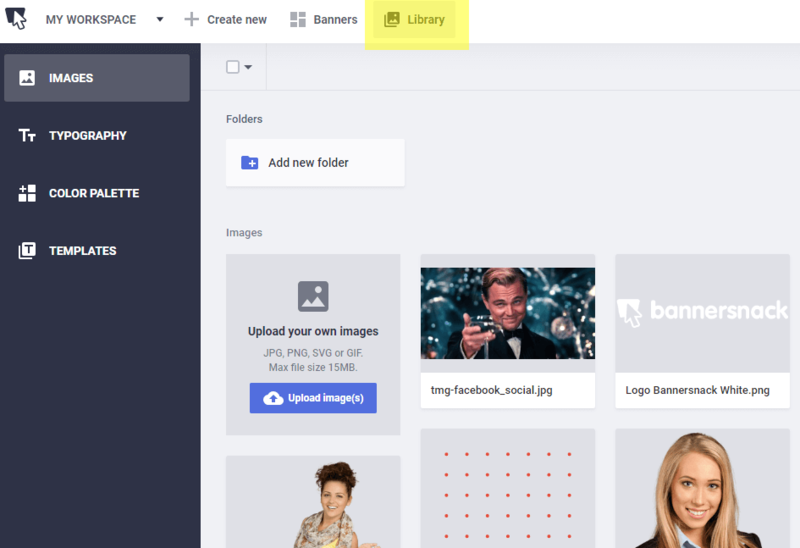 You can create as many banners as you like and store them in Bannersnack. No need to overcrowd your computer’s drives with banners. Everything about Bannersnack is cloud-based. There’s really no limit to how many banners you can produce or stock in your account, so let your creativity run wild! Once you’re done creating a banner and have saved it, you get a share link that you can send to your teammates, boss or clients. Anyone accessing the link can comment on the right-hand-side section and leave their feedback. This way, you don’t need to perform multiple actions to download the banner and send it via email to a list of people. Just copy and paste the link. Thus, you speed up the process of creation and the delivery timings. With quick feedback (all in one place) from your collaborators and clients, you can get the job done faster. This tiny feature can make a huge difference for your team. 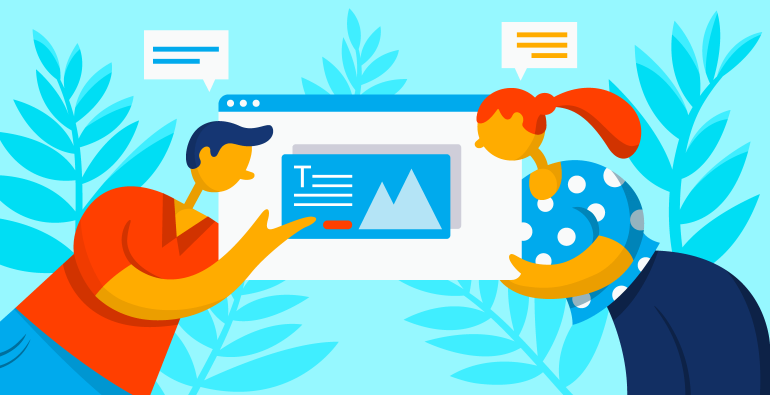 Instead of using another task management tool to keep track of your team’s projects and banners, you can simply add a status label to your banners and let everyone know about the stage of each work. As you can see in the picture above, there are 6 status options, each corresponding to a distinct color and there’s also a 7th option to unmark the banner. When you mark a banner with a status label, a colored little box will appear right under the banner’s name in the banner gallery. (see below) This color will let everyone know about the situation of that banner. More, when you browse through each workspace’s gallery, you will have a crystal clear evidence of what’s going on, what’s done and what’s in progress. Everything you need for your designs, you can find in Bannersnack. We provide you access to a stock library of more than 100.000+ professional photos, covering any topic you might need. From nature landscapes to product close-ups, we stock a broad variety of pictures, discoverable by keyword search. With a Team Plan, you have access to our free library of fonts. More, you can upload your own fonts , logos and color codes and store them in your Library. Once you upload a font, logo or color they will automatically be available to any other member of the team. This option helps you to stay in-line with your clients’ branding guidelines and use their fonts for all their marketing materials. 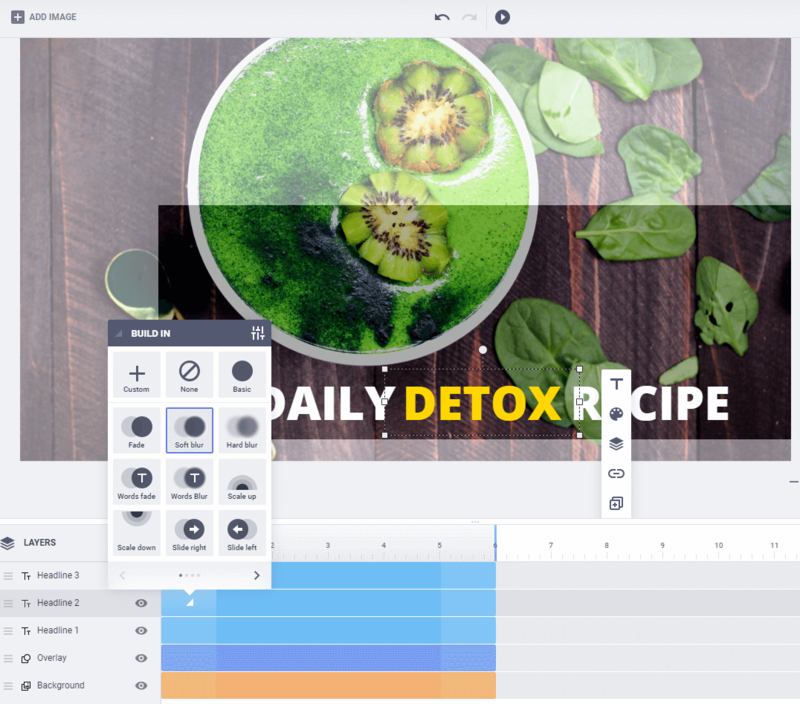 Get access to all our editable static and animated templates. You’ve got thousands of templates to choose from. Use them as a starting point for your designs and create stunning display ads that convert. Not sure if you want to upgrade to a Team Plan with Bannersnack? Here’s another reason why you should do it: you get access to a full range of easily customizable animation effects. Dozens of HTML5 transitions are available to animate every element of your layout and create a truly dynamic ad. From the basic fade-in and fade-out effects to the rotate-in and out transitions, everything is possible. Not only do we provide a wide range of transitions, but we offer you the possibility to personalize each and every animation effect. Using the transition panel settings you can control and set the blurring effect, duration and delay, ease and tween type. No matter how many banners you’d make, Bannersnack is capable of storing all your team’s design works and assets. Our tool is entirely cloud-based which means there’s no need to save your files elsewhere. You have everything you need in one place. Easily paste the embed code to your website or upload your banner to any advertising platform as an HTML5 file. Once you’ve upgraded to a Team Plan, you can keep track of your banners’ performance with Bannersnack’s real-time analytics reports. Thanks to Bannersnack’s generous and ingenious tracking system, you can analyze the performance of your ads as far as one year back. 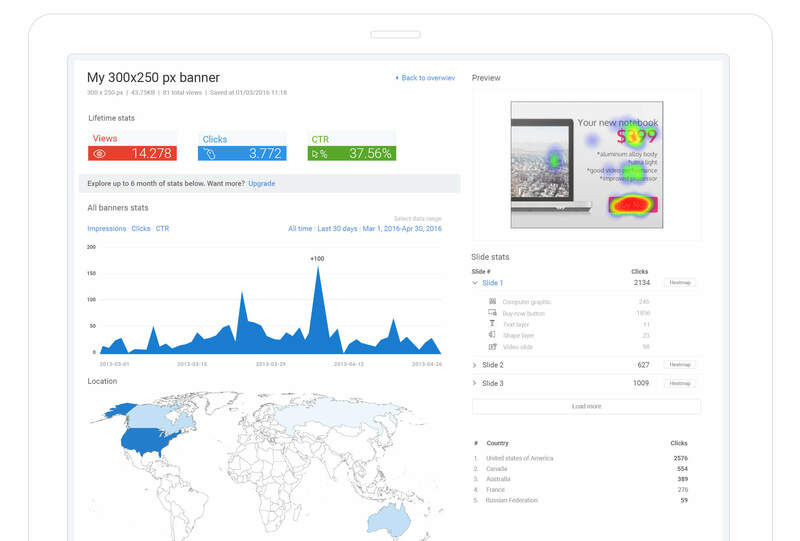 Monitor together with your colleagues your banners’ views, clicks, CTR, locations views and devices used by users. Compare how your banners perform on various devices and in different locations. 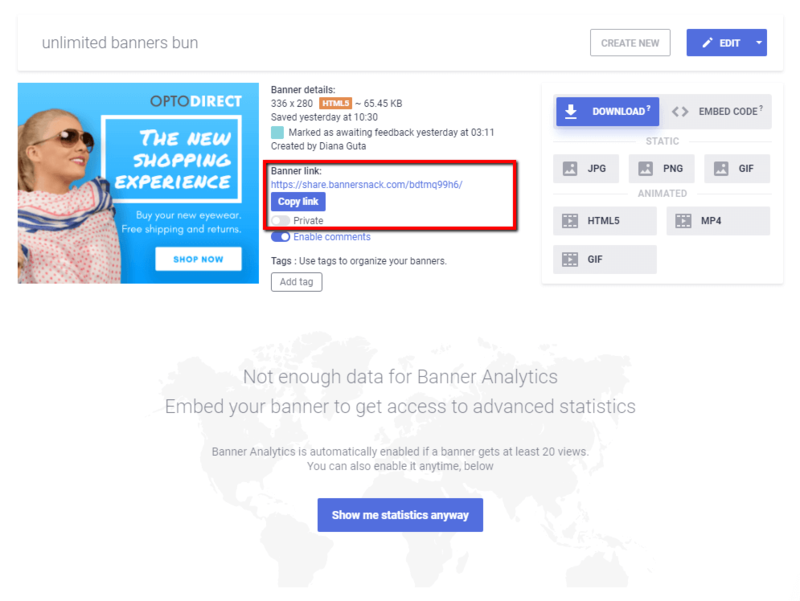 Also, with the help of the banner heatmap tool, you can find out which area of a banner is most clicked by users and consequently take actions to improve future banners and campaigns. This is called science in action! As a Team member, you benefit from special assistance with your design work. Anytime you have questions, you’ll have priority when contacting live support. We also offer you access to our extended Help Center, a database of information about the website and app, tutorials and FAQs. And last but not least, your Team will always be in contact with a dedicated support account manager. This person will be available to answer all your questions related to app usage, billing information, and user management. Try our Team Plans today! A Team Plan could do wonders for your business: increased efficiency, higher volume of banners and lower delivery timings. Not to mention the team bonding that comes with collaborative design. If you’d like to give the Team Plan a chance, have a talk with your boss and workmates, show them the benefits and sign up for a 14-day Free Trial (no credit card) to test the features. We’ve seen thousands of clients starting with a free trial to test our capabilities and then signing up for the Team subscription in a matter of hours. If you have any queries about our Team Plans, don’t hesitate to ask us!